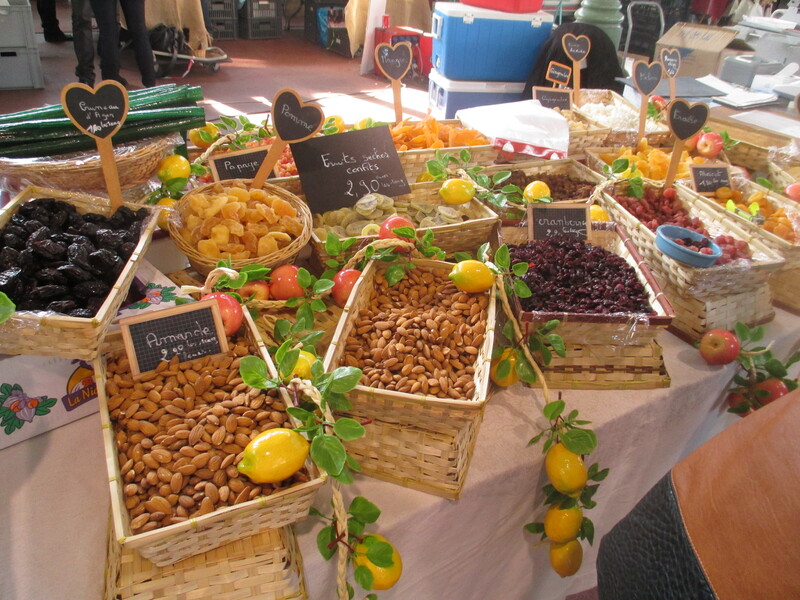 I know you read this title and think ‘Heaven’ really Emma, but it really is true this market was truly like foody, cultural heaven. 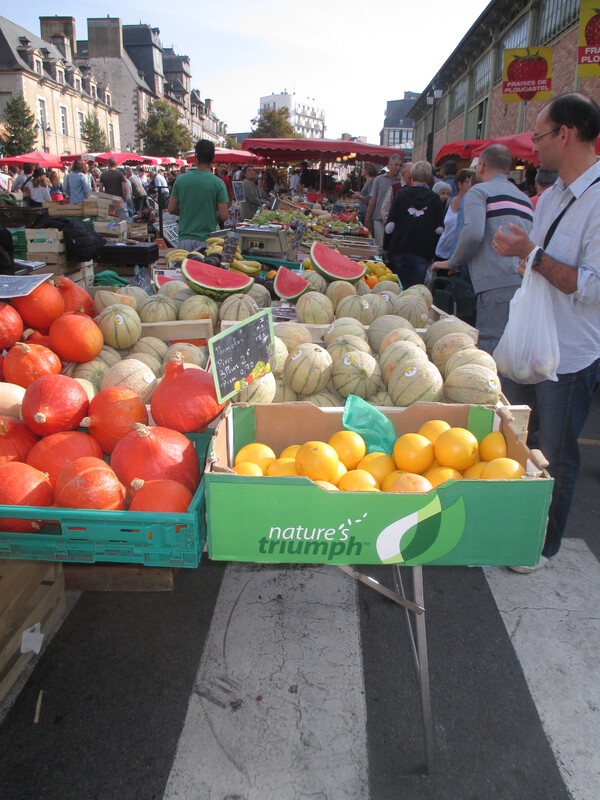 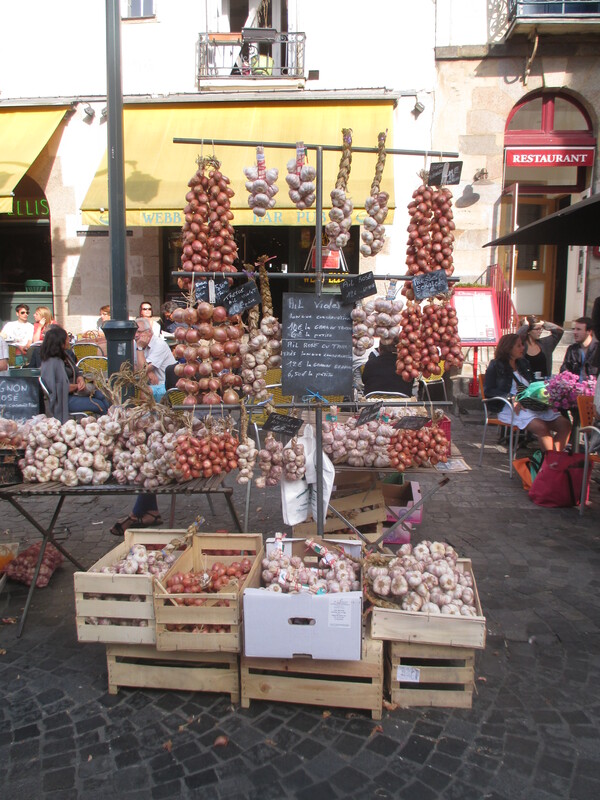 I have been to many a market in France as it is a tradition in many towns to have one a week where people can buy and sell local produce but the one in Rennes this Saturday morning was one of the biggest I have seen. 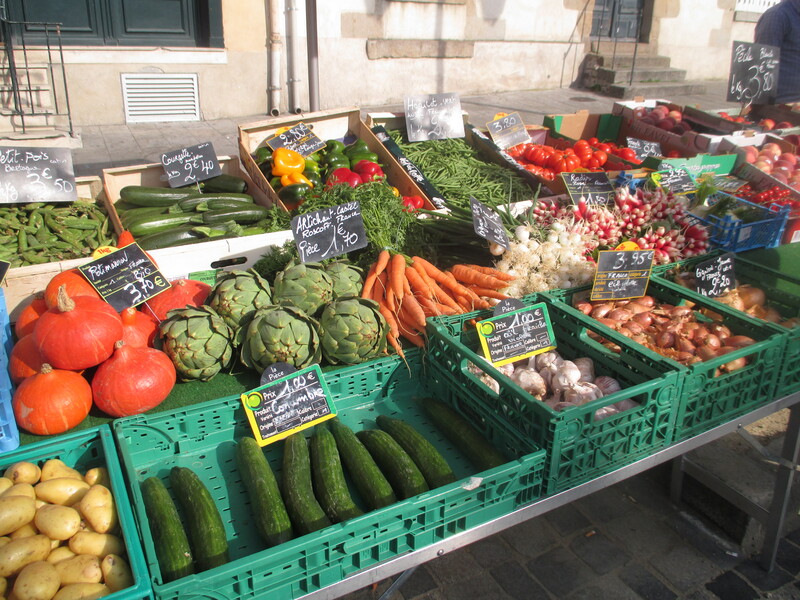 Walking through the cobbled streets with stands on either side, smelling the amazing produce and hearing the chorus of the French language around you is amazing and if that doesn’t sound like heaven I don’t know what does. 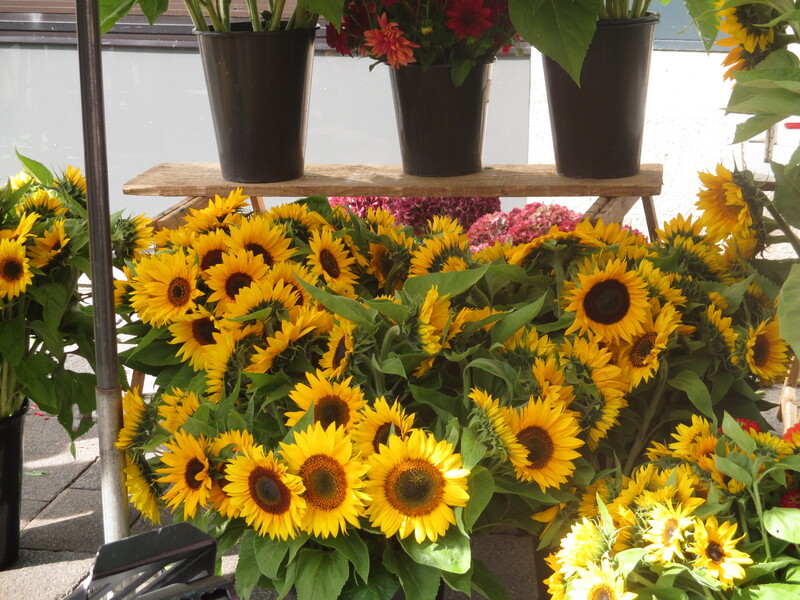 As I walked along with the sun beating down I was amazed at all the stunning things that people where selling. 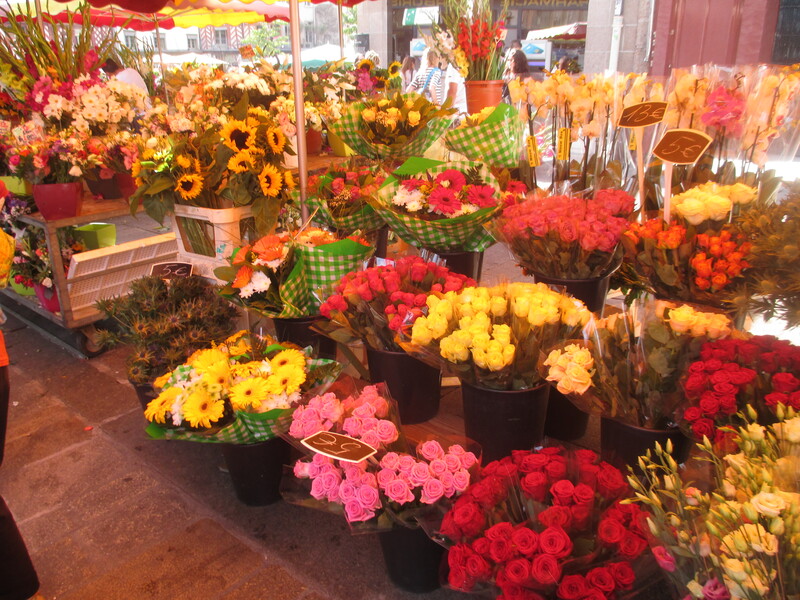 You could buy anything from fruit & vegetables to meat & fish, cheese & wine to olives & jams and also so many beautiful flowers. 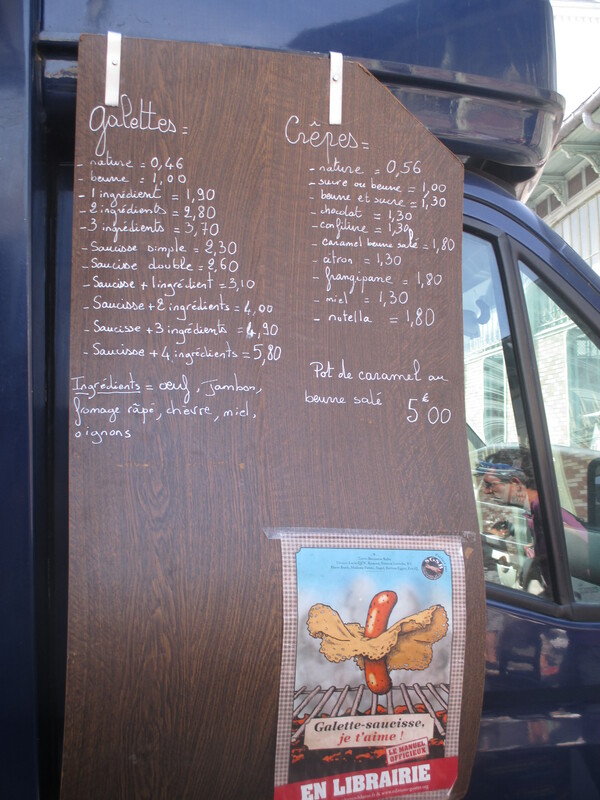 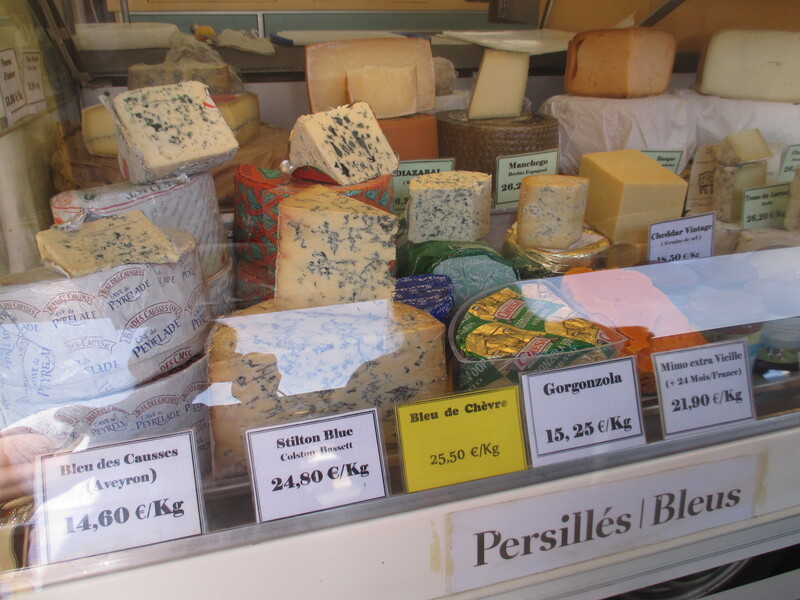 Along with these there where many places selling ready made food such as the Breton classic of galettes and crepes to mouth watering roast chicken to curry and paella. 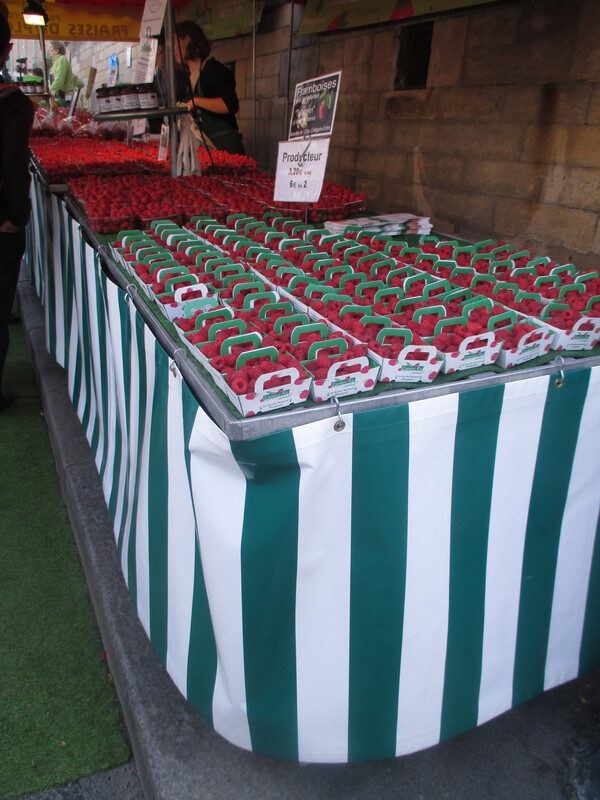 It really was a feast for the senses as everyone was going about trying to pick up all the things they needed maybe for a Saturday lunch or Sunday dinner. 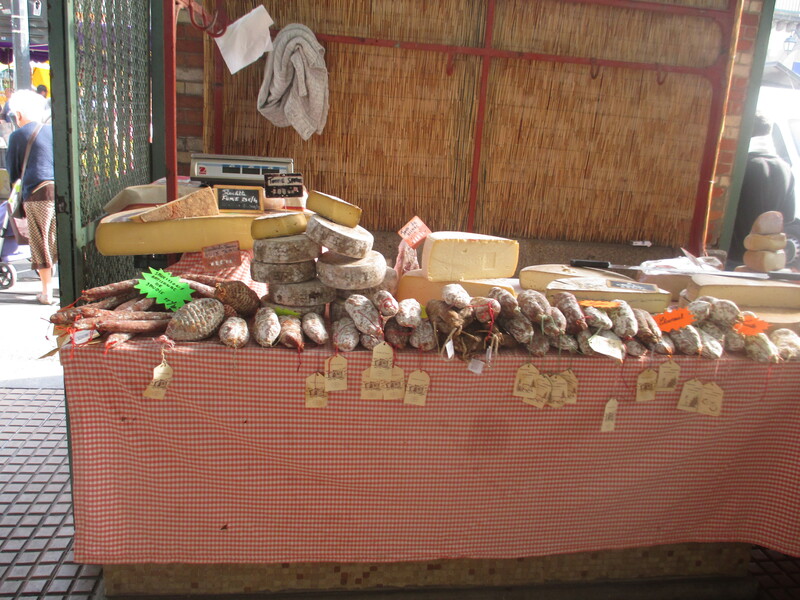 I was really in awe of this amazing market and I know that I will probably end up going back every Saturday just to look around even if I don’t buy anything. 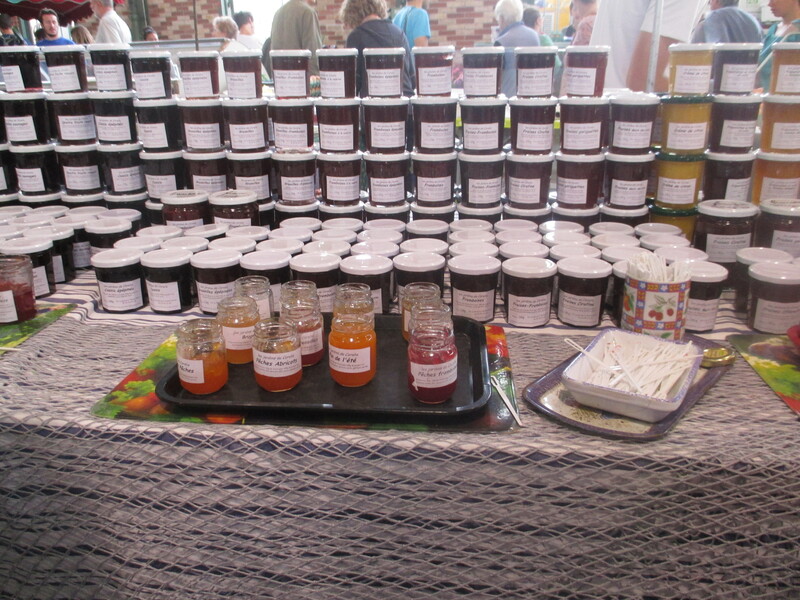 All I bought today was some fresh home-made strawberry jam and of course I had to try it as soon as I came home on one of my fresh croissants from the boulangerie and boy did it taste good! 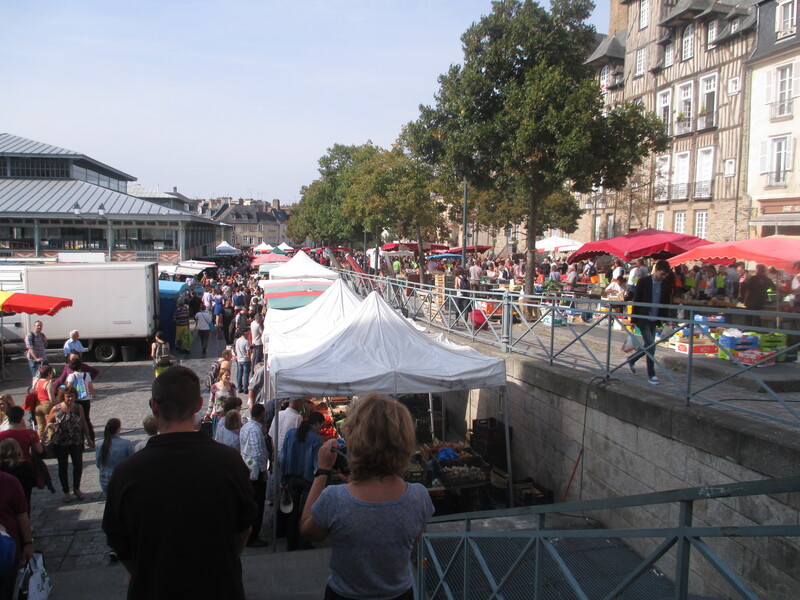 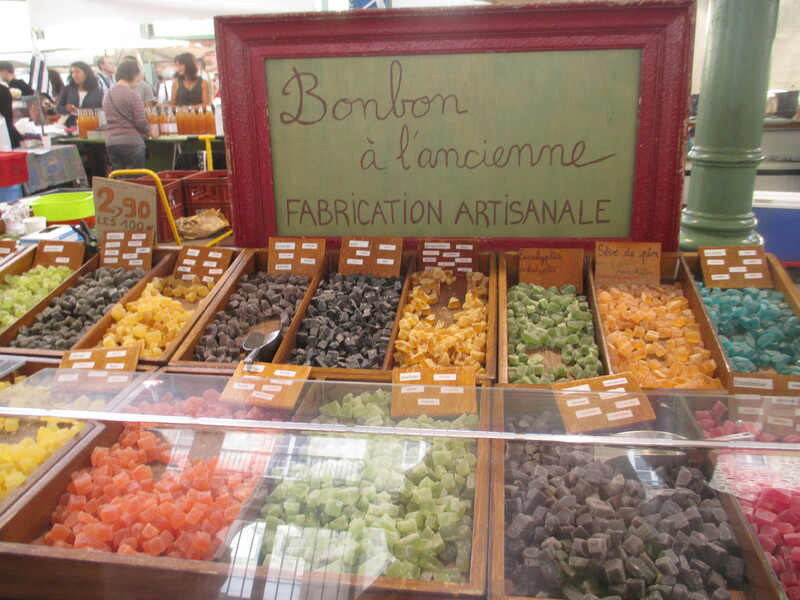 I can’t wait to head back to the market next Saturday and maybe buy something more than just jam and really live the French lifestyle. 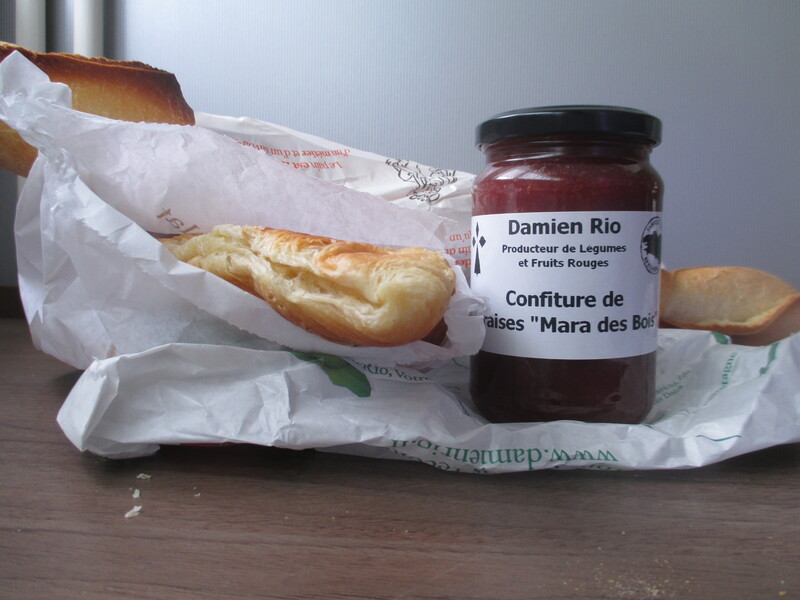 My only purchases for today- une baguette, une croissant and home-made strawberry jam.